Even though spring is taking a while to 'sprung' this year, events are beginning to bloom with Pharmacy Times Continuing Education™, a leader in continuing education for retail, health system, managed care, and specialty pharmacists. PTCE has been hard at work all winter, making sure everything is ready for the first meeting of the 8th annual Directions in Pharmacy® Spring Continuing Education Conference on April 14, at the Renaissance Nashville Hotel in Nashville, Tennessee. The Directions in Pharmacy® (DIP) educational events are held in major cities across the United States. This year is no different as PTCE welcomes conference attendees to Nashville—Music City! There’s plenty to see, do, and hear in Nashville, but the 1-day educational event DIP® also has impressive offerings. This year, DIP® has a full line-up of 8 total meetings, covering pressing topics that include the management of patients with influenza and pneumococcal disease, immunization, respiratory health, and eye care. At DIP®, there are always plenty of learning opportunities. Accredited by Pharmacy Times Continuing Education™, each meeting at the 1-day conference provides learners with the opportunity to earn up to 7.5 CE credits. The content is specifically designed so that practicing pharmacists can increase their knowledge of therapeutic areas, and clinical data, and then implement changes to their practices when they return home. In previous years, participants have praised the faculty speakers for their expertise on topics from heart failure to chronic disease states, such as diabetes. Participants don’t have to fret, as there are always plenty of networking opportunities for attendees during breakfast, the buffet lunch, breaks, and even after the conference, while taking a stroll down Music Row. “I am always amazed by the level of interaction between the audience and the presenters,” said Rupal Mansukhani, PharmD, FAPhA. “I’ve made lifelong connections through these meetings.” Rupal will be leading two DIP® meetings in Nashville on the topics of vaccinations for influenza and pneumococcal disease. Other DIP® Spring Conference series meetings are scheduled for Anaheim, CA; New Brunswick, NJ; and Chicago, IL. For more information and to register for the conference, visit: https://www.pharmacytimes.org/dip2018/tn. 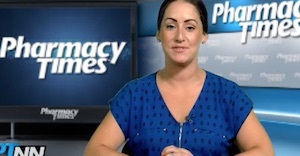 Pharmacy Times Continuing Education™ (PTCE) is a leader in continuing education for retail, health-system, managed care, and specialty pharmacists. PTCE is accredited by the Accreditation Council for Pharmacy Education as a provider of continuing pharmacy education (CPE). Our print, online, and live CPE activities are designed to help improve the knowledge, competence, and skills of pharmacists so they are better prepared to provide the highest quality of pharmacy care to the patients they serve and to the physicians they assist as part of a multidisciplinary treatment/management team. To learn more about the educational activities sponsored by PTCE, visit our website at https://www.pharmacytimes.org/.